Micronutrients (vitamins, minerals, amino acids, etc) play a dynamic role in every biological function that takes place in the human body. Based on this important role, a vast array of health conditions may result if your body is lacking in proper nutrients. Nutrient deficiencies result from an imbalance of intake versus expenditure. This can be due to poor diet, compromised absorption, excess exercise, chronic stress, etc. Whatever the case may be, the most efficient way for the body to replenish nutrient stores is through infusion therapy. These 'infusion' methods of delivery shuttle nutrients directly to where they are needed, the cells. Infusions bypass the digestive system which, in many disease states, has a compromised ability to absorb nutrients making oral intake ineffective. Infusions also allows for higher concentrations of nutrients to be delivered. Shots disperse a nutrient solution throughout muscle tissue. Because muscles have a large blood supply, the nutrients will be readily absorbed into circulation. Although the shots provide for quicker administration, they are limited in how much volume/dosage can be delivered. Therefore, shots are better suited for smaller/simpler doses such as B vitamins. Vitamin B shots are particularly useful prior to a workout, before partying, or just needing that extra boost of energy for your everyday activities! 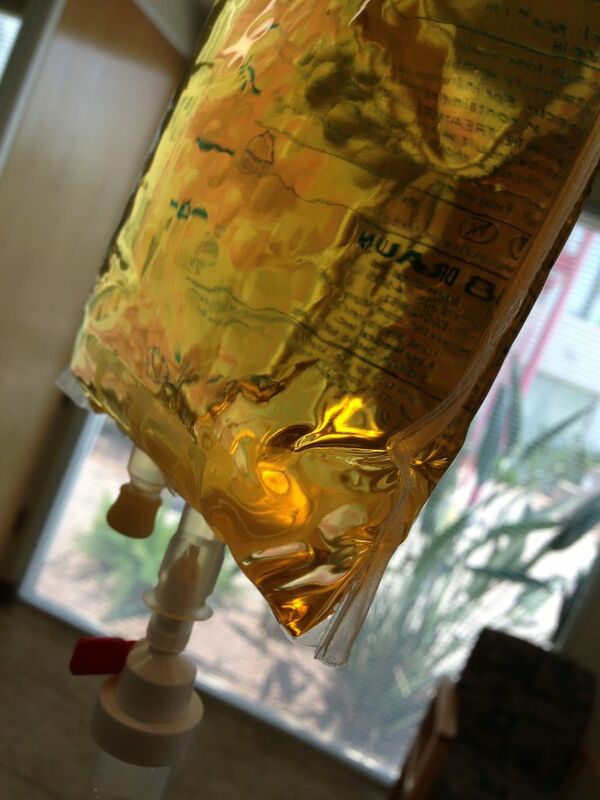 Bags, on the other hand, can administer large volumes of fluid to circulation resulting in systemic hydration. Additionally, the larger volume allows for the ability to deliver an even higher dosage. The nutrients typically added to solution include a complex of B vitamins, Vitamin C, and minerals/electrolytes. Other specialty nutrients or homeopathic medications can also be incorporated. These strengthening infusions can be effective for treating a myriad of symptoms/diseases such as chronic fatigue syndrome, fibromyalgia, migraines, cardiovascular disease, asthma, common cold, flu, allergies, dehydration/heat exhaustion, amongst others. They’re also effective for treating hangovers, supporting post-workout recovery, and improving mental clarity!